This is a mobile phone built on a mobile operating system, with more advanced compuing capability and connectivity than a feature phone. It also includes a high-resolution touchscreens and web browsers that display standard web pages as well as mobile-optimized sites. 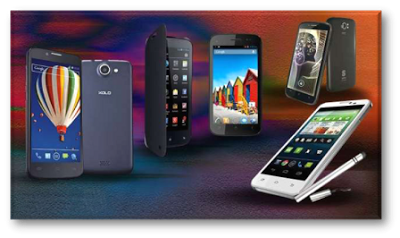 Here are some smartphones with a latest Quad-Core that can be affordable for you. LG mobile's first Quad-core smartphone in the Philippines. With a Philippine price of Php 27,990.00. Featuring NVIDIA’s 4-PLUS-1™ Quad-Core mobile processor, Tegra3, the Optimus 4X HD boasts of unparalleled performance and speed. Tegra3 automatically activates all four cores when a maximum power battery-saver core when less power is required. And via the exclusive Eco-Mode application which will be provided with the software upgrade, users to manually shut down any of the Tegra 3’s. Also with a 2,150mAh battery – the largest among Quad-Core smartphones – and proprietary SiO+ technology, lastly the 4.7-inch True HD IPS display on the Optimus 4X HD offers a superior high-clarity viewing experience with a resolution of 1280 x 720. Latest fad of large screen smartphones, with the price of Rs 14, 999, the Xolo Q1000 brings the "phablet" experience with its scratch resistant 5-inch display. This new handset appears to be a worthy adversary to the Micromax Canvas HD. Powered by a 1.2GHz quad-core processor, the Xolo Q1000 runs on Android v4.2 Jelly Bean. With a price of Rs 12,999, Canvas Doodle is an uber-affordable competitor to the popular Samsung Galaxy Note. The Doodle shares the Canvas HD’s 1.2GHz quad-core processor, but instead of a MediaTek MT6589 chipset, Micromax has gone with the Qualcomm MSM8225Q processor. The smartphone runs on Android 4.1.2 out of the box, with minor customisations in the notification drawer. A blazing quad-core processor, a great camera, and strong battery life round out the advantages of this Android 4.1 phone. This smartphone worth $199.99 up to It's Samsung's highest-end phone, with Android 4.1 Jelly Bean OS, a speedy quad-core processor, an extra-large battery, and an 8-megapixel camera. This worth Rs. 31,173 in India, in Philippines Php 26,000.00 and in US Dollars $804.44 approx. Panasonic P51 is an android smartphone with 1.2 GHz Quad core processor,1 GB RAM and 8MP Camera. Panasonic has also collaborated with Jaina Marketing as the Strategic Partner for Marketing, Distribution and Customer Suport' for the smartphone series. That's it! I know that there are so many smartphones out there. And humans wont stop to continue explore and develop latest and most incredible phones in the future.